Design and construction management for the construction of a new 1200 gpm high capacity well, 500,000 gallon prestressed concrete reservoir, booster pumps with VFDs, well building, site grading and associated landscaping. The projects consisted of foundation design for the well building based on the geotechnical investigations and the expected loadings associated with the new structures. The access road and parking area were designed to accommodate well rehab truck traffic. 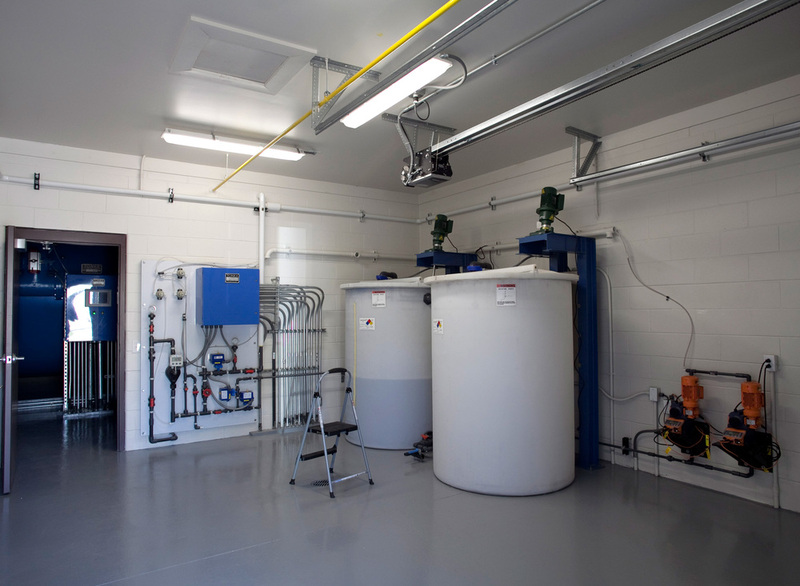 The building was designed to accommodate future water treatment equipment as required. Weekly coordination meetings were held during the construction phase of this project. Multiple coordination meetings with the design staff were scheduled during planning and design to coordinate the results of the geotechnical and well testing results. Public informational meetings were held to explain the impacts to property owners concerning the wellhead protection plan.